Microsoft has released Windows 10 Insider Preview Build 10547 for testers on the Fast ring. The build comes with a number of new features and tons of improvements to Start, Microsoft Edge, and Tablet Mode, among others. Let's dive into it. Beginning with Start, the company is now allowing users to add a 4th column of medium-sized tiles to it. Until today, users could only have three medium-sized tiles. This adjustment will also allow users to add two large-sized tiles side-by-side if that's what they want. To enable it go to Settings app > Personalization > Start and select "Show more tiles". Insiders who want more than 512 tiles on Start will be pleased to note the limit has been raised to 2048 in this new build. 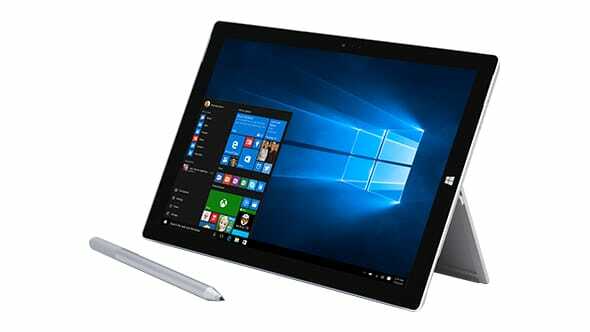 Microsoft realizes that many users who are running Windows 10 on a touch-capable device could use some handy additions. With the new build, users can now snap apps in Task View. 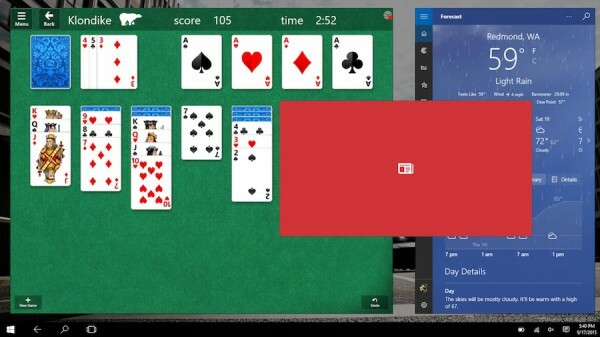 "When in Tablet mode, from Task View you can now snap apps to left and right, replace a previously snapped app with another (teeter) and swipe down to close an app", writes Windows chief Gabe Aul in a blog post. In addition, the company is also updating several apps to add new features. The Photos app, for instance, now comes with a folder view, making it easier for users to see OneDrive and PC folders -- the company recently added a similar feature to Windows 10 Mobile with a preview update. Groove, Mail and Calendar, Store, and Maps applications have also received updates. If you're a developer, there are some treats for you as well. The company has introduced support for Object RTC in Microsoft Edge. The ORTC APIs will allow real-time audio and video communications directly inside Microsoft Edge without the need to install any plugins. The company has also improved the touch input. "The text input panel now expands as you write to provide more space in Latin languages," Aul notes. Furthermore, the text input mode panel will not open automatically when you're not in Tablet Mode or have an external Surface keyboard hooked up to your device. Not an earth shattering addition, but something many will find handy. There are a couple of other welcome additions as well. Find the changelog below. We have fixed several issues with audio -- including issues specific affecting Realtek audio devices.